Why Didn't Miyazaki Make These Films? Why Didn’t Miyazaki Make These Films? 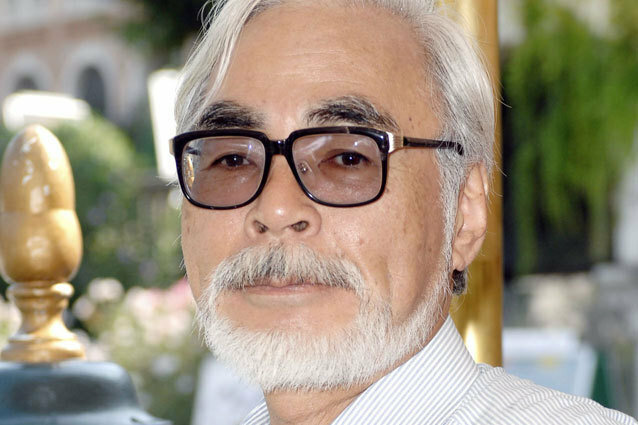 One of recently retired anime director Hayao Miyazaki‘s great gifts was adaptation. He transformed Diana Wynne Jones’ spectacular novel Howl’s Moving Castle into a world of bright colors and melancholy, and he recently spun a tale of genius and wonder out of the story of Japanese airplane designer Jiro Horikoshi. His company, Studio Ghibli, will hopefully continue to create beautiful worlds, but Miyazaki will be missed. Here are a few books that would have benefited from Miyazaki’s magical touch. This classic children’s story hasn’t been brought to the screen since 1970, and the book’s letter trees and number mines would have looked beautiful in Miyazaki’s world. Miyazaki didn’t shy away from the philosophical or the surreal, and this classic French tale would have been perfect for him. This Japanese fairy tale centers around a boy whose drawings could come to life, and we’d love to see how that would look in Miyazaki’s animation. This novel exists at the intersection between fairy tales and adult themes in which Miyazaki thrived, and the hidden garden would look specatacular under his direction. This Neil Gaiman book is already in talks at Disney, but Studio Ghibli could have turned the creepy-cute graveyard adventure story into a haunting masterpiece. Tim Burton used to be the king of whimsy, but his Alice adaptation fell flat. Miyazaki could have created a far more beautiful world with a lot more surprises. This beautifully illustrated fantasy novel creates an amazing world where each island is a different hour of the day, and we’d love to see Miyazaki’s take on Clive Barker’s illustrations.